A Biblical and Pastoral Response to Domestic Abuse. One of the greatest needs of the Church is strong spiritual leadership; it is a Biblical principle. Being a leader is both a big responsibility and a difficult task. We are passionate about supporting the leaders of gospel churches in Wales to better serve their people. 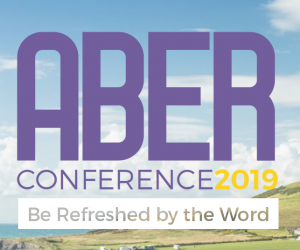 As with all EMW events there is a strong emphasis on both the word and spirit – we believe true Christianity is both Biblical and experiencial, and our conferences reflects this. We organise conferences for Pastors & Ministers, Church Leaders (Elders, Deacons, Officers and Youth/Children’s Workers), New Pastors and Pastors’ Wives. The EMW are constantly looking at ways to develop pastoral support for people in ministry in Wales today. In particular support and resources are available, but sometimes the connection between us and the help that is there, is not made. To respond to this we can offer the fraternals, the titus fellowship and a visit from our pastoral director. The Theological Training Course (TTC) is designed to train men for gospel ministry in the 21st century. The thinking behind the course is that there is that there is an urgent need for men who can faithfully preach and teach God’s timeless truth and relate and apply it to our ever changing world. The EMW has been supporting church leaders for over 50 years through conferences, fraternals and pastoral support – there is nothing more important than the personal contact. However we do realise that we have a role to support leaders by providing resources.